We love insects and animals from the heart, born to!! It is amazing to see all the crafts and decorations with different ideas and supplies around the home. And today our craft channel will share more butterfly ideas in addition to the crochet butterflies edition for all the ages. 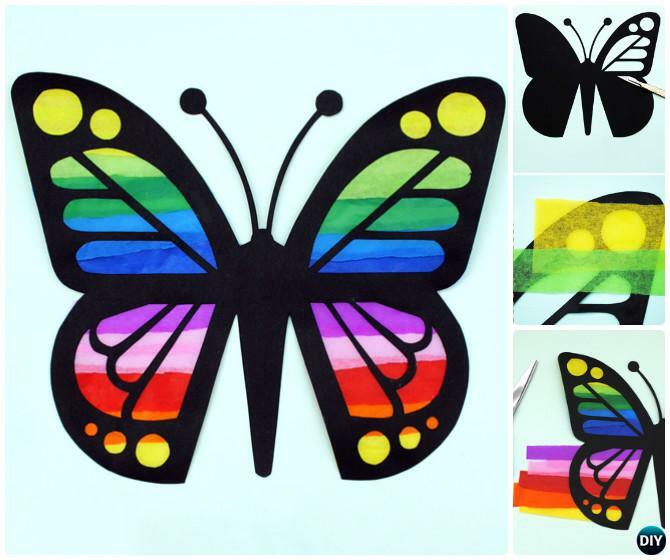 Butterfly crafts that are easy to create even for kids! The artist would love to bring the butterfly theme into their artwork, and so do kids and all the young in hearts can make it, too. 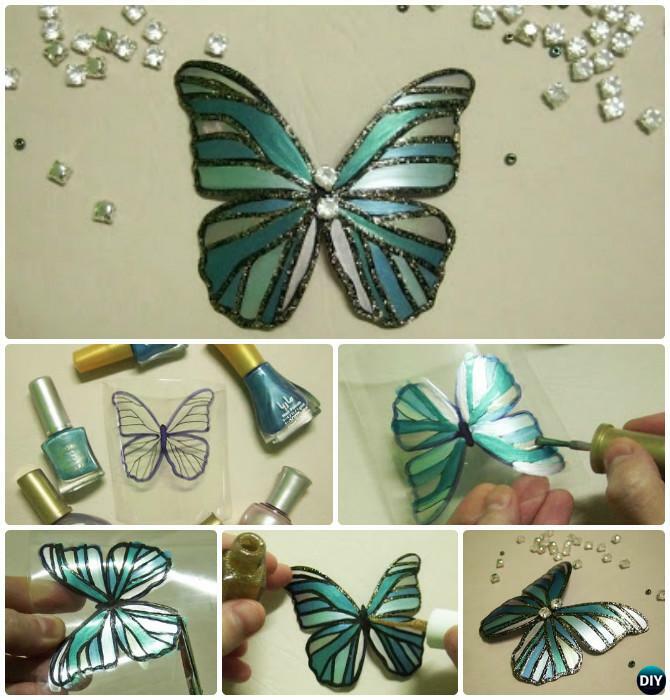 These easy butterfly can be arranged on wall canvas or hanging chandelier or mobile for your porch, window or interior decorations! Let’s scroll down to see what materials you can perform on your own work magically and easily! 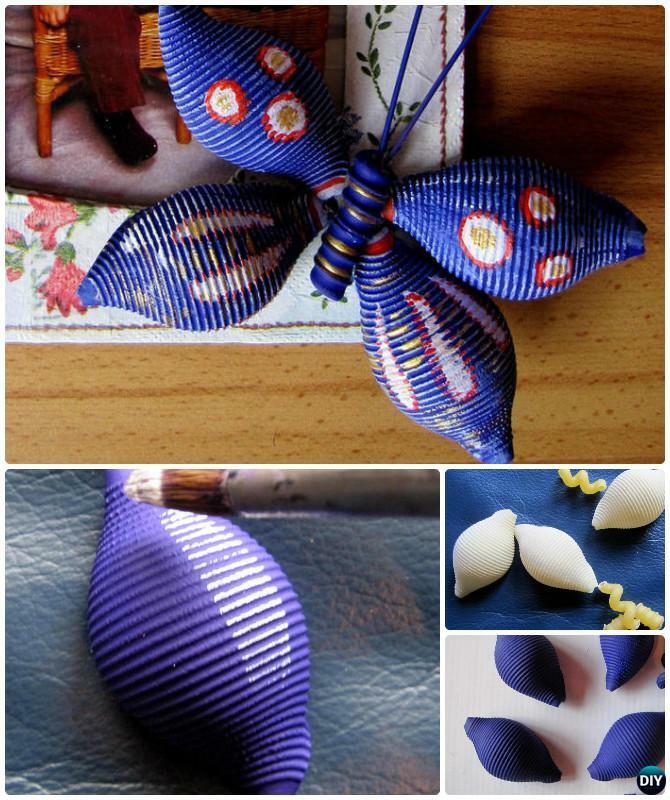 A Pasta Butterfly for decorating photo frames or wall canvas, with easy supplies of Pasta, acrylic paint, glue gun and a brush. 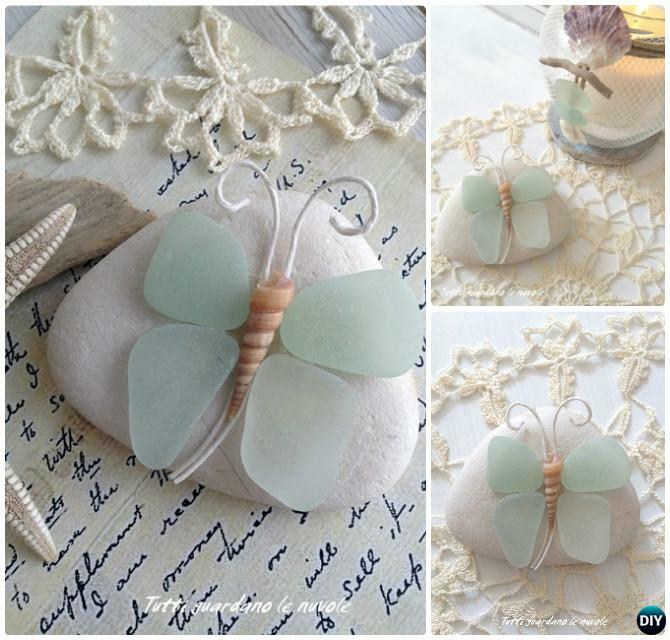 Sea glass rocks that you can get on beach or craft store can be easily turned into a butterfly table decoration. Use out the remaining or expired nail polishes onto the plastic canvas. 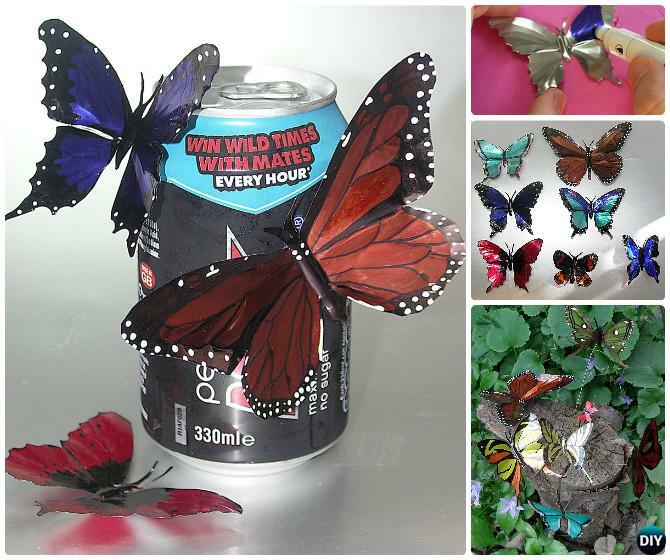 Tin cans can be another recycled art to paint your butterfly for home and garden decorations.